Housemaid is washing window. Chambermaid at work. Housemaid cleaning a window. Young female working indoors. Housemaid is cleaning window. Tired woman wiping forehead. Fatigue symptoms at work. Young housemaid cleaning window. Woman in rubber gloves working. 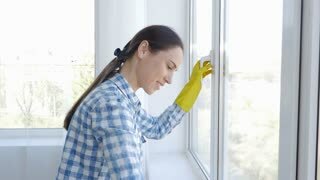 Housemaid wiping window. Young female working. Work of a housemaid. Woman wiping window. 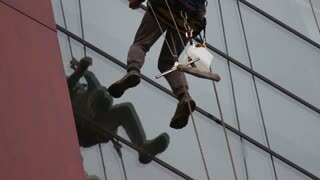 Attractive housemaid cleaning window. Young woman at work. Chambermaid cleaning window. Young female working indoor.